The town of Plainfield, located in Windham County, is in the northeastern part of the state and close to the Rhode Island border. Incorporated in 1699 as Quinebaug, Governor Fitz-John Winthrop renamed the town Plainfield a year later. Known for its fertile lands, as well as its streams and rivers, in the 19th century the town thrived as an industrial center. 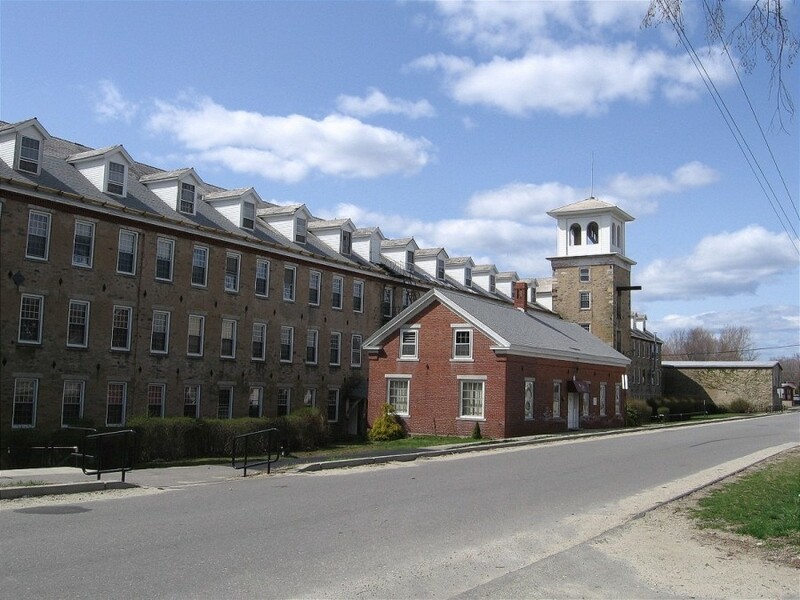 It housed various mills supported by the four major railways that intersected the town. Today, the town comprises four villages: Plainfield, Moosup, Wauregan, and Central Village, which contains the Central Village Historic District, an area that is home to a variety of 19th-century architectural styles and is listed on the National Register of Historic Places. “The Last Green Valley,” 2017. Link. “Plainfield Historical Society,” 2012. Link. Woodford, E. M. “Map of Windham County, Connecticut.” Philadelphia, PA: E.M. Woodford, 1856. University of Connecticut Libraries, Map and Geographic Information Center - MAGIC, Yale University Library, Map Collection. Link. Burleigh, Lucien R. “Moosup, Conn., Uniondale and Almyville.” Bird’s-eye. Troy, NY: L.R. Burleigh, 1889. Connecticut History Online, Connecticut Historical Society. Link. “Plainfield - WPA Architectural Survey.” Connecticut State Library Digital Collections, 2014. Link. Lee, Stephen. “Windham County, Conn., Business Directory Containing the Names, Business and Location of All the Business Men in the County, Agricultural, Manufacturing, and Other Statistics, with a History of Each Town.” Windham County Transcript Office, 1861. Link. Bayles, Richard, ed. History of Windham County, Connecticut. New York, NY: W. W. Preston & Company, 1889. Link. Larned, Ellen. History of Windham County, Connecticut. 1600-1760. Vol. 1. Worcester, MA: Ellen Larned, 1874. Link. Larned, Ellen. History of Windham County, Connecticut. 1760-1880. Vol. 2. Worcester, MA: Ellen Larned, 1874. Link. Plainfield Historical Society. Plainfield. Charleston, SC: Arcadia, 2007. Bickford, Christopher. 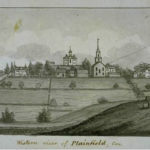 Plainfield Transformed: Three Centuries of Life in a Connecticut Town, 1699-1999. Plainfield, CT: Plainfield Historical Society, 1999. The Story of the Twenty-First Regiment, Connecticut Volunteer Infantry, During the Civil War. 1861-1865. Middletown, CT: Stewart Printing Co., 1900. Link.